Located high up in the hills in Mahabaleshwar is Maharaja Suite, a set of studio apartments that justifies its name with its regal feel and aesthetic interiors. Overlooking the valley, with a sunrise and sunset point (apparently the only property in Mahabaleshwar with both), this is probably one of the coolest places to spend some quality time when you want to just escape to the hills. Mahabaleshwar is easy to get to. By road, it will take you about five hours to reach. But if you’re inclined towards public transport, then we suggest you take a direct bus which will take anywhere between six to nine hours to reach. We don’t recommend travelling by train because the nearest station is either Pune or Wathar which are both considerably distant from Mahabaleshwar. 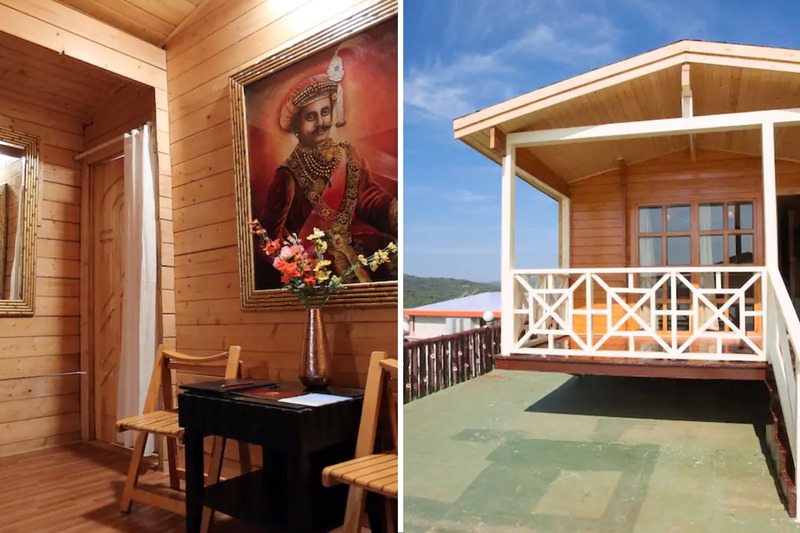 Its vantage point that lets you enjoy both sunrise and sunset, aesthetically done up rooms, two acres of lush green surroundings, and all of this on a hill station. We don’t think one can ask for more. The suite has an outdoor area to lounge in, for you to enjoy the scenic beauty of the hills, a working Wi-Fi (though we strongly recommend getting off the internet on vacations), a gymnasium to burn up some calories, and a pool. If you’re feeling indulgent, they also have spa therapies, billiards, and a restaurant, all on additional but nominal charges. If the intention is to spend an uber-romantic time, they will also arrange for a candlelight dinner, cake and bed decorations (!) if told a day in advance. The stay for two per night is INR 6,900 which is subject to availability, season and dates. If you and your special someone have barely been spending any quality time together, we suggest you head to Maharaja Suite for a weekend and indulge in all things fancy. Have fun!